[SOLUTION] WDS Error trying to add an Install Image. 22/01/2012�� Adding drivers to a WDS image- easier than you might first think WDS is a great time saver- but for some reason the documentation for it on the web sometimes lacks simple to follow guides- which means you waste time trying to help people do the simplest of things with it sometimes- hopefully the below will help you save some time! 1/06/2016�� I've prepared an image by using sysprep, and successfully deployed it using WDS. I realize now, I'd like to skip OOBE, but not enter audit. I'd like to skip wireless and user creation, for instance. 11/02/2011�� Nath writes... As far as I know you can only inject drivers into boot images, not install images using the standard WDS console. Not true. 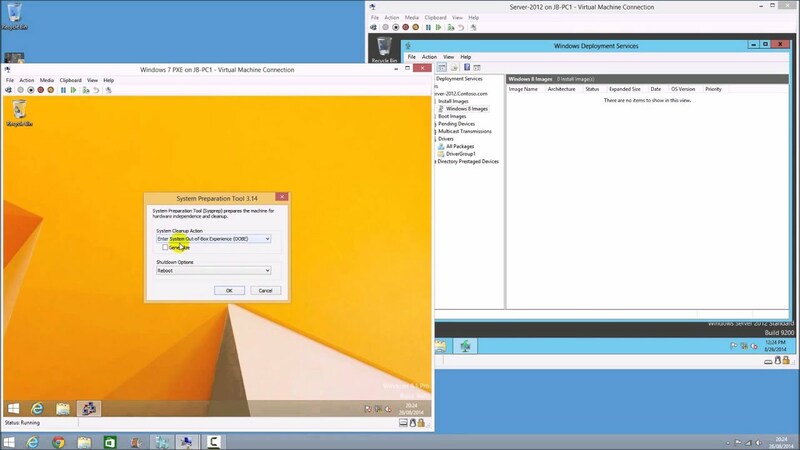 This may have been the case with Windows Server 2008, but with the R2 version, you can add them to the WDS console, and specify whether to force the drivers down with the image, or only pull them if needed. On your WDS server, right-click the Boot Images node and click Add Boot Image. On the first page of the wizard, browse to the image file. You can load it right off the DVD as it will be copied to the local storage that you picked when you configured WDS.